After the Inauguration the New Bazaar has really become an entertainment spot for families, visitors and other people. 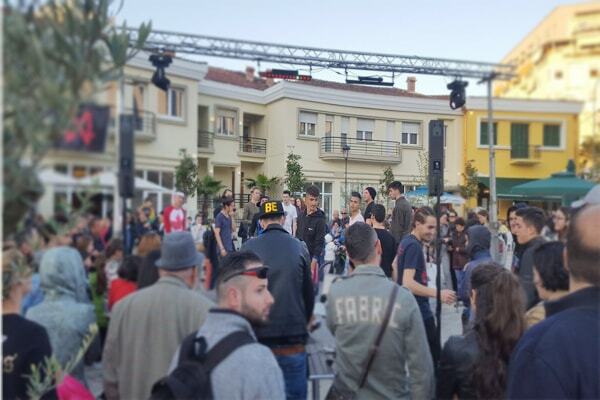 This Saturday, on April 8th, at the New Bazaar the Municipality of Tirana organized the event “Lights on Bazaar”, where 50 artists performed. It has something for everyone, elderly people enjoyed light music. There was a corner for painters and one for graffiti. The bars were full of people, enjoying their afternoon coffee. Four concert stages are installed; one for jazz fans, one for folk music fans, one for A&R and one hip-hop. 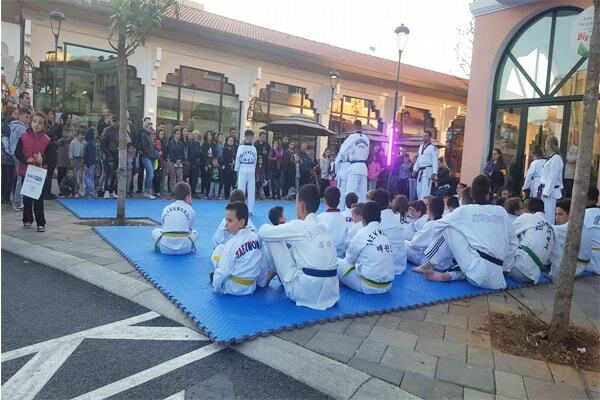 Kids had the opportunity to see some martial arts performed by some talented kids. A group of teens were gathered around the stage of hip-hop battle, where they performed about 2 hours. 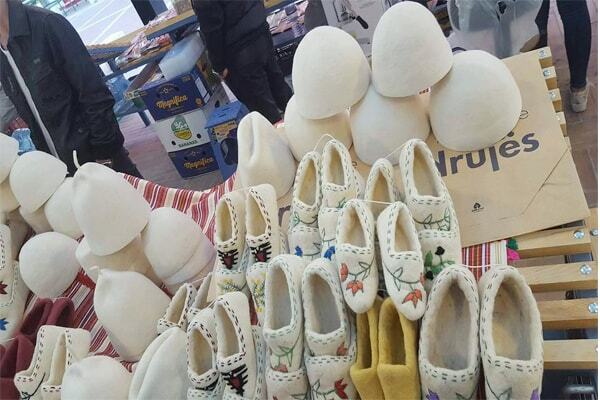 The Artisans fair was another great thing impressing not only tourists but also locals with their unique crafts such as: wool hat (Qeleshe in Albanian), handmade jewelries, handmade bags etc. 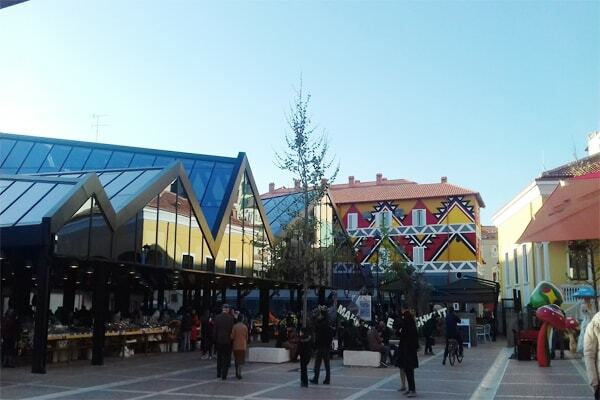 The good news is that Municipality of Tirana will continue to do activities that will bright the area more than its colors. People that want a break from the hustle and bustle of Blloku area, can escape to the New Bazaar. 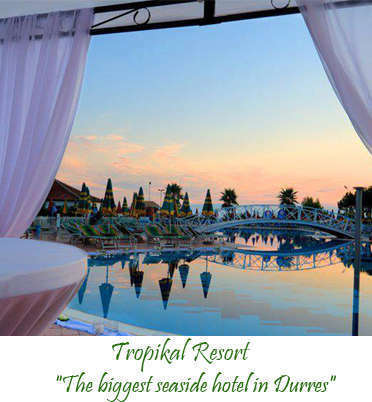 It is ideal place for everyone who loves to be in a nice place with beautifully painted buildings, smell the aroma of bakeries, coffee and fresh fruits. 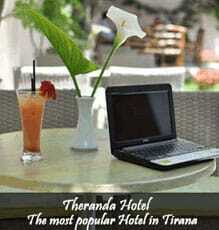 If you want to have a good taste of Tirana this should be your next stop of many attractions that our city offers. The New Bazaar is the bond between the old and the new city.